one pays more for coins than Buyers of New York. Even if you are not located in New York we still make deals all over the USA. 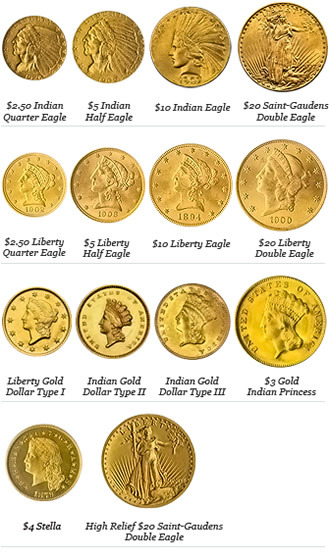 Other Types of Coins We Buy: Silver Coins Three-Cent Pieces, Silver Coins Half Dimes, Silver Coins Dimes, Twenty Cent Pieces, Silver Quarter Dollars, Silver Half Dollars, Silver Dollars, U.S. Commemorative Silver Coinage Coin Sets, Standing Liberty, One Dollar Gold Liberty Head, Quarter Eagles, Indian Head, Three Dollar, Four Dollar,Gold Half Eagles,Classic Head,$10 Gold Eagles,$20 Gold Eagles,Shipwreck Coins,Wheat Pennies,Mercury Head,Seated Liberty,Washington Head,Walking Liberty,Franklin Head,Morgan,Peace. For more information and more details on the types of coins we buy check out our sell gold coins nyc site. We Specialize in Buying Rare Gold Coins as well.